A young man hoping to break into the music business was shot to death on the Venice boardwalk in the summer of 2015 by a gang member looking to protect his turf, a prosecutor told jurors Monday, while a defense attorney countered that his client was only trying to defend himself from a potentially vicious attack. Francisco Cardenaz Guzman, 32, is charged with murdering 26-year-old Jascent Warren around 2 a.m. on Aug. 30, 2015, on Ocean Front Walk at Dudley Avenue. He is also facing one count each of attempted murder and possession of a firearm by a felon. Video surveillance from two cameras at a nearby cafe captured the shooting, and the defense doesn’t dispute that Guzman fired the shots that killed Warren. The question is, “Why? Why did Mr. Guzman shoot Mr. Warren?” defense attorney Garrett Zelen told jurors during his opening statement. A key prosecution witness is Sris Sinnathamby, a 58-year-old real estate investor who once owned and still holds an interest in the Cadillac Hotel on the boardwalk where the shooting occurred. Sinnathamby was arrested at the scene and charged with murder, roughly a month before police arrested Guzman. The men were co-defendants at a preliminary hearing where charges were dismissed against Sinnathamby due to insufficient evidence. The two men were near strangers who ended up together that night by coincidence, Deputy District Attorney John McKinney said, recalling Sinnathamby’s statements to investigators. 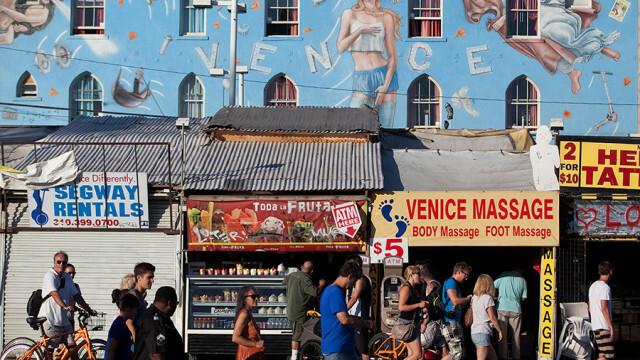 The prosecutor characterized Venice as a place where artists, wealthy residents, gang members and homeless people are all part of the mix. The hotel owner was at a local bar with three friends at closing time. When he walked out, unable to call for a ride due to a dead cell phone, Guzman offered them a lift. Because he recognized the man from the bar and around the neighborhood, Sinnathamby and his friends jumped in, according to the prosecutor. When the SUV stopped at the Cadillac Hotel, Guzman got out and started talking to a homeless man sleeping in front of a restaurant across the street — also owned at the time by Sinnathamby — while the hotel owner went to grab his keys from his own car, McKinney said. The prosecutor said the homeless man would testify that both men told him to leave, but Guzman was holding a gun and threatened him, while Sinnathamby said they should focus on another bigger guy down the street. When the hotel owner told a second man to move away from the hotel entrance, the two homeless men got upset and started shouting and Sinnathamby and Guzman were drawn into an argument with more people down on Ocean Front Walk, the prosecutor said. “Mr. Warren and his friends were minding their own business when Mr. Guzman came along and brought violence into their world,” McKinney told the six-man, six-woman jury. When Guzman fired four shots and a bullet hit a man in the leg, “Mr. Warren got very upset,” McKinney said. At least one witness told police they heard Guzman say, “This is my neighborhood” and then name his gang, according to the prosecutor, who said Guzman got into the gang life about 10 years ago. The local gang has ruled the area since the 1960s, making most of their money selling narcotics, McKinney said, even as a “throwaway part of Los Angeles” gentrified into a more “exclusive” community. “Wealthy people buy drugs too,” the prosecutor said. Sinnathamby never felt threatened by the people on the boardwalk and was standing between Warren and Guzman, trying to defuse the situation, according to McKinney. Warren tried to knock the .40-caliber semi-automatic out of Guzman’s hand and then the defendant fired again, he said. At least three bullets struck Warren, who ran off and then collapsed nearby, McKinney said. Guzman fled the scene, while Sinnathamby stayed behind and was attacked by two or three people from the crowd, he said. “From their point of view, it looked like he sicced this guy on him. They thumped him. They assaulted him pretty badly,” the prosecutor said, telling jurors that Sinnathamby suffered head injuries that required 16 staples to close. McKinney urged jurors not to label the victim, who was a transient. Identifying people as homeless or transient is useful, “so long as we remember they are human beings,” the prosecutor said. Warren’s friends called him “Shakespeare” because of his way with words, he said. “He was a son, he was a brother and he was a father. Most of all, for your concern, he was a human being,” McKinney said. Zelen said the men who attacked Sinnathamby, beating him to “within an inch of his life,” had posed a grave danger to his client. “Mr. Guzman acted in self-defense and in defense of others,” Zelen said, noting that two female friends of Sinnathamby’s were at the scene. Guzman had asked some of the homeless people to leave and offered them $20 each, according to Zelen. Guzman fired over the heads of the people gathered there in an attempt to keep the peace, the defense attorney told the jury. “No one has attempted to shoot anyone,” Zelen said, adding that the man shot in the leg was hit by a ricocheting bullet. The defense showed a computer simulation of the events from Guzman’s perspective and Zelen placed a mannequin in front of the jury box, dressed in a jacket like Warren, its head and hands covered in black fabric, arms reaching out. Warren died at the scene, according to the first Los Angeles Police Department patrol officer to arrive. Sinnathamby was the next to take the stand and said he had no issue with the homeless people in the neighborhood and knew and spoke with many of them. 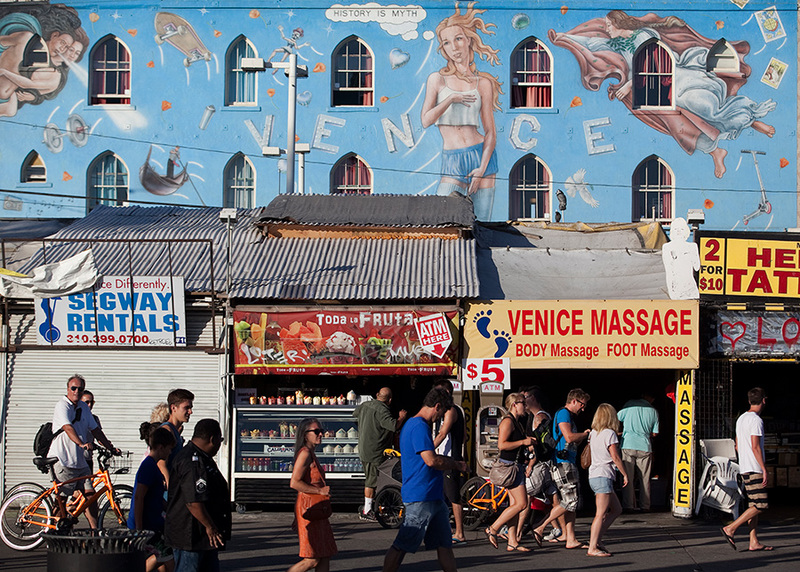 “You kind of accept that as part and parcel of the Venice community,” he testified.